The story of “It’s Alive” follows the bizarre birth of a monstrous, murderous baby, which proceeds to go on a killing rampage. A manhunt for the child is launched, while the parents are left to deal with the realization that their child is potentially inhuman. 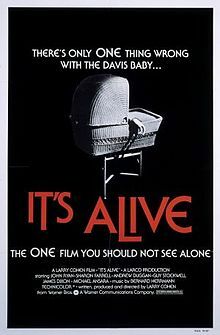 The title of the movie was concocted as part of the advertising campaign, and produced two different memorable taglines: “Whatever it is, it’s alive” and “There is only one thing wrong with the Davis baby: It’s Alive.” Arthur Manson, who was the head of advertising at Warner Brothers during the production of “It’s Alive” was the brains behind the campaign, and has used it in lectures on film promotion, and it has even been featured in professional advertising classes on the subject. The infamous delivery scene was filmed in a functional operating room, and filming had to be abruptly paused during a shoot for an emergency delivery. The child that was born in that delivery even appears briefly in the film. 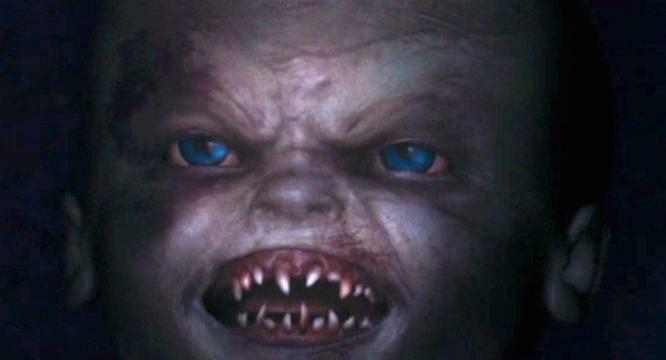 As outlandish as the premise for “It’s Alive” may seem, monster babies are featured in plenty of mythology and lore, particularly when pregnancies are not taken care of or a child is not baptized. The stories have inspired all manner of superstitious traditions, some of which still exist today. Some of these legends include the changelings throughout Europe, the Spanish xaninos, and the terrifying Japanese sankai, who are demon babies who run away immediately after birth and return to kill their mother. Even in the bible, there is a description of a monstrous birth in 2 Esdras 5:8: as part of a series of cataclysmic events. 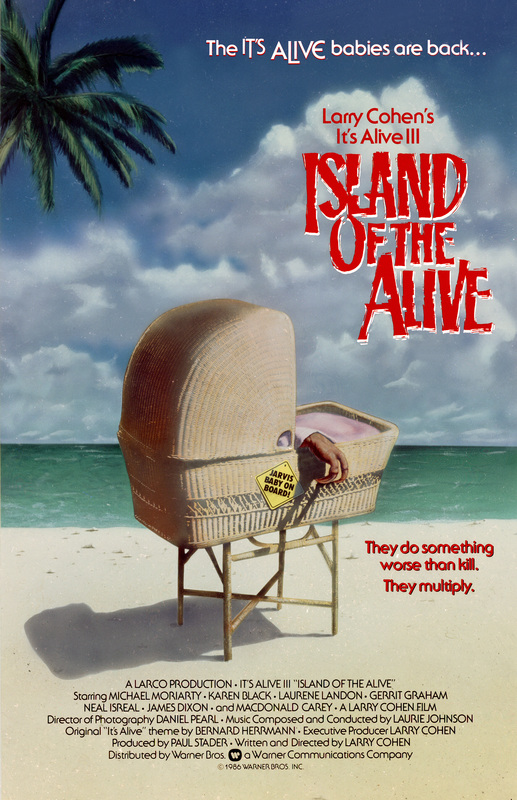 The idea of for “It’s Alive” supposedly came from Larry Cohen watching a baby have a temper tantrum, and noting specifically how violent it was, and how destructive it could be if it had more power. 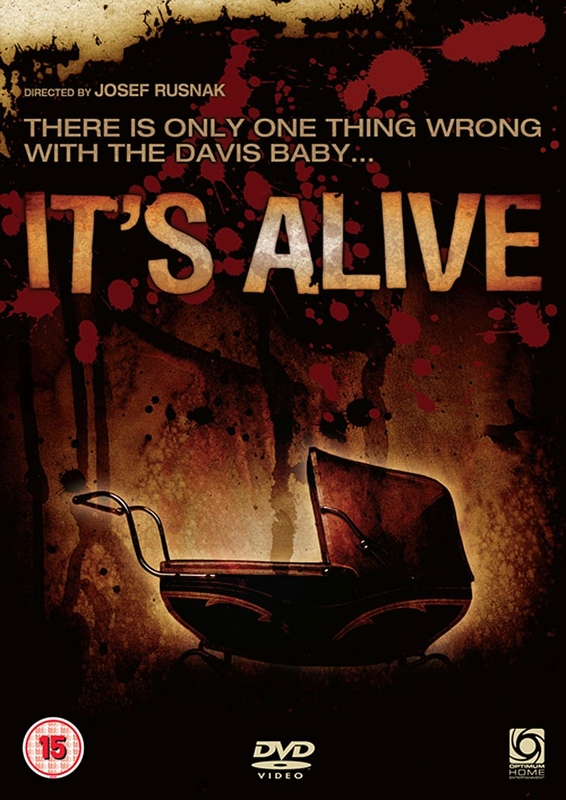 The release of “It’s Alive” drew obvious comparisons to Roman Polanski’s 1968 horror hit, “Rosemary’s Baby.” In a lot of ways, “It’s Alive” is kind of a theoretical look at what Rosemary’s baby might actually be like, given it wasn’t shown in any detail in the Polanski film. 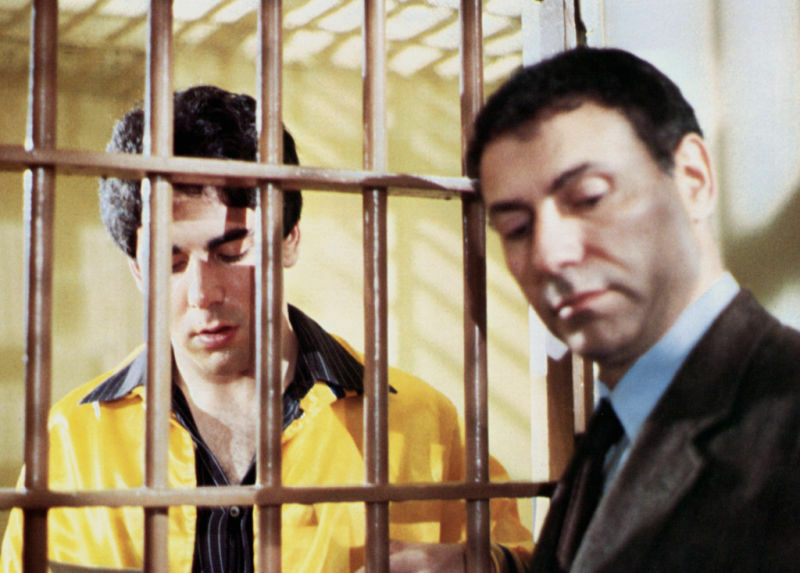 Larry Cohen’s career started with him writing for television programs throughout the 1960s, including “The Invaders” and “Blue Light.” In the early 1970s, he started directing a handful of blacksploitation films, the most notable of which was “Black Caesar” starring Fred Williamson. After “It’s Alive,” Cohen went on to create a number of cult classic horror movies with comedic twists in the 1980s, such as “The Stuff” and “Q: The Winged Serpent.” Cohen had a bit of a renaissance in the early 2000s after writing a couple of successful thrillers in “Phone Booth” (starring Colin Farrell) and “Cellular” (starring Chris Evans), but hasn’t had any new credits since 2010. 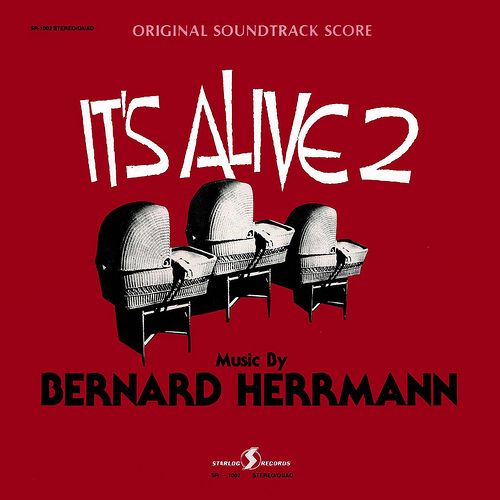 “It’s Alive” features a musical score composed by the legendary Bernard Herrmann, who is best known for “Psycho,” “Citizen Kane,” “North By Northwest,” and “Vertigo.” “It’s Alive” was one of his last scores before his unexpected death, next to “Taxi Driver,” which won him a posthumous Academy Award. The Director of Photography on “It’s Alive,” Fenton Hamilton, was a lighting technician during the golden age of Hollywood, and finished his career doing cinematography work for Cohen. He was in poor health during most of his time working with Cohen, and the Cohen film “Full Moon High” was dedicated to his memory after his death. The baby’s point of view double vision effect was done based on input from doctors, who reportedly told Cohen that a child’s vision would not be as focused as an adult’s. Speaking of which, using the monster’s point of view was another principle later used in “Jaws” to great acclaim. The haunting baby monster scream used in “It’s Alive” is an actual baby cry that is played backwards and amplified, to chilling effect. A terrible picture, just beyond awful. I would advise anybody who likes my film to cross the street and avoid seeing the new enchilada. After a surprisingly successful first run in theaters as a sleeper hit, “It’s Alive” got a second theatrical release, playing on a double bill with the infamously awful “The Exorcist II.” Surprisingly, “It’s Alive” became the second highest grossing movie in Warner Bros history…in Singapore. Naturally, there is a certain degree of social commentary in “It’s Alive,” something that is a bit of a Larry Cohen trademark. Specifically, the film subtly ponders on the issue of abortion. The babies in the story are created due to a flawed abortion drug, which made them vicious, using the same logic of pests and bacteria that become drug-resistant if they happen to survive extermination. One of the keys to effective horror is being able to capitalize on existing anxieties of the time. “It’s Alive” not only taps into the fears associated with new parenthood, but also touches on the widening generation gap between adults and youth in the late 1960s and 1970s, and the estrangement and fear that resulted. “Hell Up in Harlem”, the sequel to Cohen’s earlier film “Black Caesar,” was filmed and edited on the weekends during the production of “It’s Alive,” with much of the same crew. This means that the team put in consecutive seven-day work weeks to create both pictures at once. On to the Plotopsy of the film: what makes “It’s Alive” so memorable? Obviously, the outlandish premise and the Rick Baker effects have gone a long way towards cementing the flick in the collective cultural memory, but the score, the cinematography, and the acting is all memorable and unique, making the film a genuinely impressive horror movie that is highly lauded by fans of the genre. That’s all for today’s (Plot)opsy Podcast! Be sure to check out Misan[trope]y Movie Blog on Facebook and @Misantropey on Twitter for new posts. updates, and reviews. “It’s Alive 3” was once again written, directed, and produced by Larry Cohen, almost 10 years after the release of “It Lives Again,” the second installment in the franchise. The special effects on “It’s Alive 3” were provided in part by Brent Armstrong (“Starship Troopers,” “Class of 1999,” “In The Mouth Of Madness”) and Bill Hedge (“Piranha,” “Species,” “Airplane!”), replacing Rick Baker, who worked on the first two films in the series. James Dixon is the only returning actor from the first two films, reprising his role as Lt. Perkins. Larry Cohen regular Michael Moriarty (“The Stuff,” “Q: The Winged Serpent”) joins the franchise, along with Karen Black (“Nashville”), Laurene Landon (“Full Moon High,” “Maniac Cop”), Macdonald Carey (“Days of Our Lives”), and Gerrit Graham (“C.H.U.D. II: Bud The Chud”). 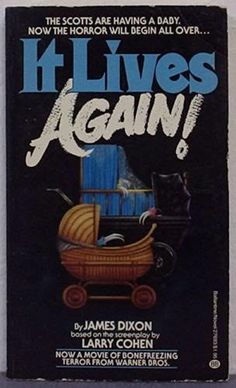 The events of “It’s Alive 3” take place an undisclosed amount of time after the events of “It Lives Again,” after a number of more sinister baby monsters are born. The story starts with a trial to determine what to do with the apprehended baby monsters, during which it is decided that they will be placed in isolation on an island. Some time later, a team of hunters is hired by a drug company to kill all of the babies, in order to erase any proof tying one of their drugs to the monstrous mutation. “It’s Alive 3” was filmed on location in Hawaii, despite the story theoretically being set in the Caribbean. 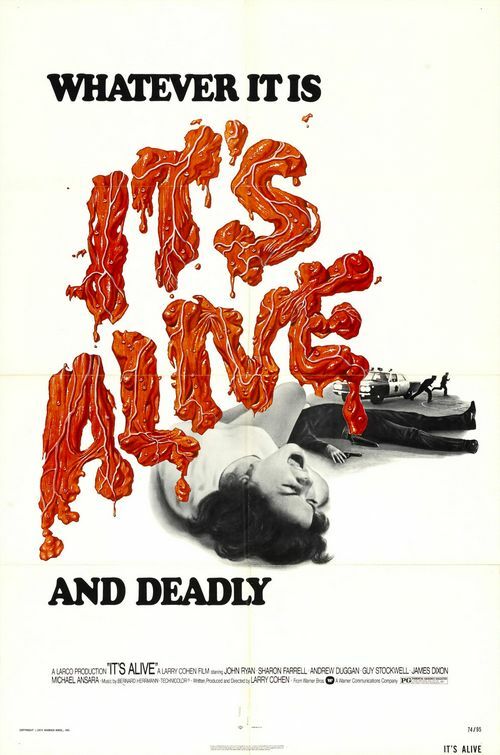 The opening sequence of “It’s Alive 3” was used in the 1988 movie “The Dead Pool” starring Clint Eastwood, as an example of the film work of a murdered fictitious b-movie director played by Liam Neeson. “It’s Alive 3” was given a limited theatrical release, but I wasn’t able to dig up any information in regards to its budget or finances. However, the reception certainly wasn’t positive: it currently holds a 4.5 rating on IMDb, along with Rotten Tomatoes ratings of 50% (critics) and 15% (audience). Many saw “It’s Alive 3” as milking the very last drop out of the “It’s Alive” franchise, seeing it as a purely profit motivated production. This is obviously not entirely untrue, but I think it caused some unreasonable hostility towards the film’s existence. 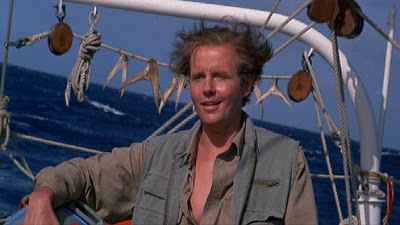 Michael Moriarty, as always, is fantastic. He delivers another memorable performance, as he always seems to do when working with Larry Cohen. I’m a bigger fan of his character in “The Stuff,” but his portrayal in “It’s Alive 3” is certainly an interesting one, and is probably the best reason for checking out the film. “It’s Alive 3” is without a doubt more overtly humorous than “It Lives Again” and “It’s Alive,” which didn’t exactly resonate with many fans of the franchise. However, above all, this movie is fun by design. That’s not a bad thing if you ask me, but it is certainly a departure from the earlier movies. It also follows up the story and consequences of the first two films very well, and does fit with the trilogy thematically in my opinion. Something I absolutely did not expect was the revelation that the baby monsters have telepathic powers, which seems to come totally out of left field. It isn’t totally if they develop the skill over time, or if they always had mind powers in the previous movies. 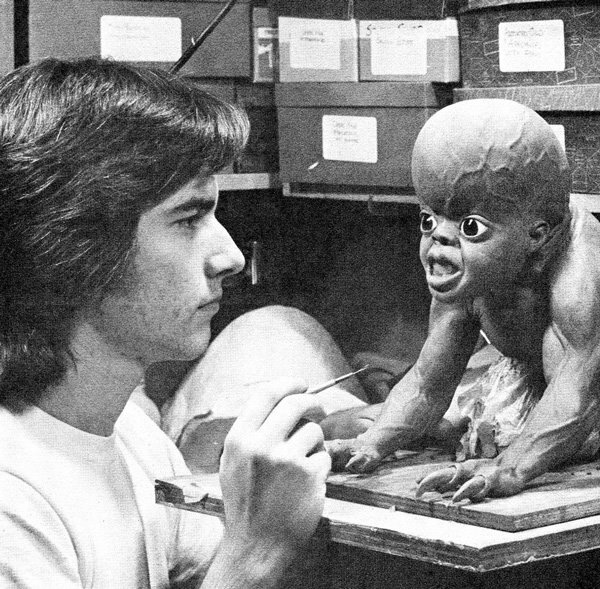 There are a few moments in “It’s Alive 3” where stop motion is used to portray the baby monsters, which looks absolutely awful. The movie notably doesn’t try to hid or obscure the babies, instead choosing to keep them out in the open. I actually don’t have as much of a problem with this, given the entire foundation of the story is about the babies being normalized and exposed to society, and ultimately rejected. 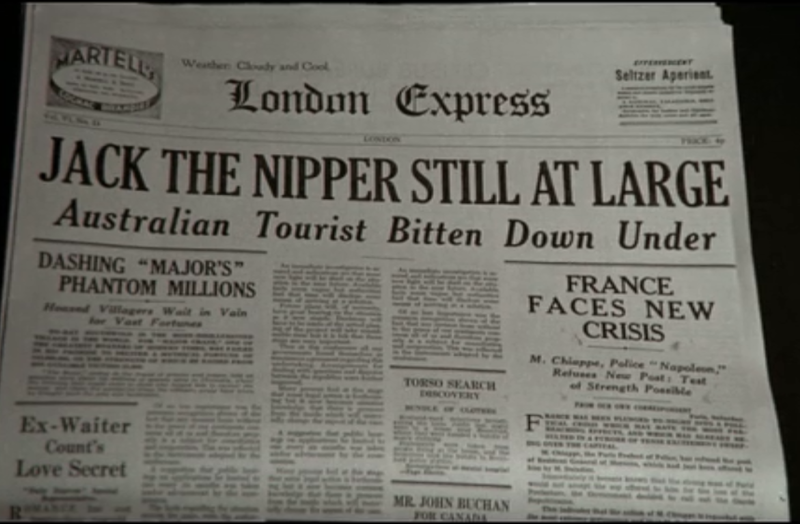 That said, they certainly don’t look very good, but that somewhat adds to the comedic element of the film. A lot of reviews compare “It’s Alive 3” to “The Lost World: Jurassic Park,” which I find kind of hilarious, because the two films are astoundingly similar. The babies are left to roam free on an isolated island, a corporation tries to exploit them for their own benefit, a secret team is sent to the island covertly, and the monsters ultimately escape to the mainland. They were even both filmed primarily on the same island. I will say, I kind of wish Jeff Goldblum and Michael Moriarty could have been in both movies, because the combo would have improved both pictures drastically. “it Lives Again” was written, directed, and produced by Larry Cohen, and marked the first time since “Hell Up In Harlem” that he took on a sequel to one of his films. The cinematography for “It Lives Again” was provided primarily by Fenton Hamilton, who worked with Cohen on a number of his earlier films (“Black Caesar,” “Hell Up In Harlem,” “It’s Alive”). Additional work was done by Daniel Pearl, who went on to become one of Cohen’s regular cinematographers on films like “Deadly Illusion” and “A Return to Salem’s Lot.” Supposedly, Hamilton left the productions on bad terms, clashing with Cohen creatively. However, Cohen dedicated “Full Moon High” to his memory after his death. “It Lives Again” had a number of editors, including Curtis Burch (“Joysticks”), Dennis Michelson (“On Deadly Ground”) and Carol O’blath (“Brain Dead,” “Puppet Master III”). The cast for “It Lives Again” features John P. Ryan, Andrew Duggan, and James Dixon reprising their roles from the original “It’s Alive.” The rest of the cast includes Frederic Forrest (“Falling Down,” “Apocalypse Now”), Kathleen Lloyd (“The Missouri Breaks”), John Marley (“The Godfather”), Eddie Constantine (“The Long Good Friday”), and Jill Gatsby (“Class of 1999”). The story of “It Lives Again” takes place shortly after the events of “It’s Alive,” following up on that film’s cliffhanger. More killer babies are popping up around the country, and the government is frantically trying to eliminate them before they are born. Frank Davis, the father of the child in the first film, goes on a mission to warn as many potential parents as possible about the government’s plans for their babies. 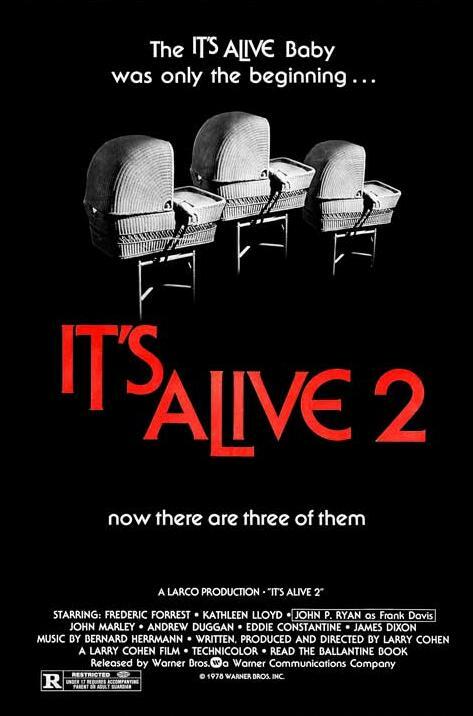 I couldn’t dig up any budget or box office information for “It Lives Again,” but the existence of “It’s Alive III” seems to indicate some level of financial success. The reception to the movie, however, wasn’t so good. It currently holds a 5.0 rating on IMDb, along with Rotten Tomatoes scores of 44% (critics) and 28% (audience). The performance of Frederic Forrest in “It Lives Again” is particularly intense, and the fallout of the central couple after their baby is taken away provides some very real drama in the story. That said, you certainly can’t get attached to him, and the film doesn’t feature any really memorable or sympathetic characters. Once again, Larry Cohen creates a very serious and dark film out of a truly outlandish concept, while not entirely losing the humor inherent to a horde of babies murdering people. One of the new ideas in “It lives Again” answers the question of how to deal with the babies that manage to survive. Given they are human, they can’t exactly kill them once they are alive and well. The idea of trying to train the evil babies to be good is kind of hilarious, but it is played off seriously enough that it is almost believable in the film’s context. 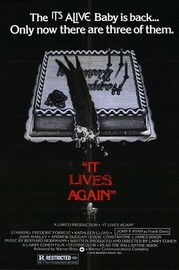 “It Lives Again” lacks some of the punch and thought that drove the first movie, but it still isn’t bad in my opinion. It marks a bit of a drop-off in quality, but not nearly to the same degree as your typical sequel. 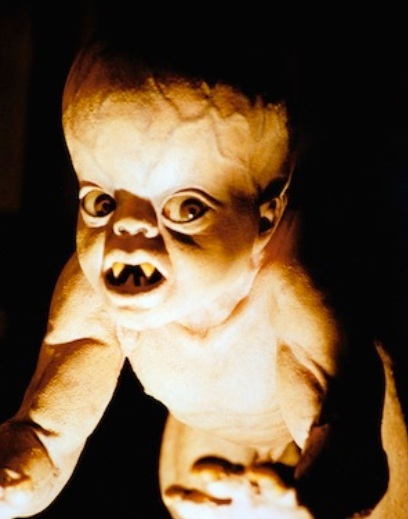 Cohen is wise to not show too much of the babies in “It Lives Again,” just like he did with “It’s Alive.” As good as Rick Baker’s work is, it provides better tension to show less of them, and they inherently look a little bit ridiculous. Thankfully, they are mostly kept in shadows, blurs, and silhouettes. Overall, this is a worthy follow-up if you really liked the original “It’s Alive.” Some people will certainly find it boring because of its comparatively slower pacing, but I think there is still plenty to like here. If you are up for a story about murderous babies, “It Lives Again” certainly delivers that. 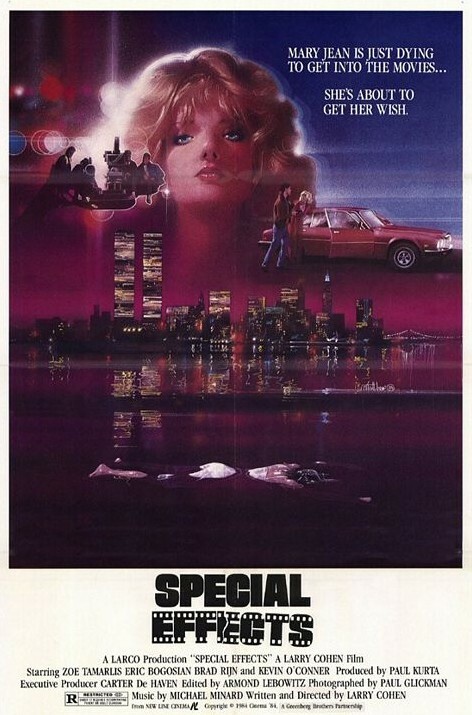 Next up in the Larry Cohen Collection is 1984’s “Special Effects,” a murder thriller starring Eric Bogosian. 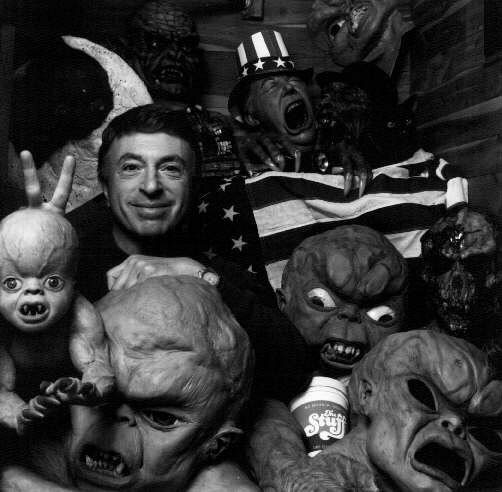 “Special Effects” was both written and directed by Larry Cohen, his twelfth feature to both helm and write. The editing for “Special Effects” was once again done by frequent Larry Cohen collaborator Armond Lebowitz, who cut “Full Moon High,” “The Ambulance,” “The Stuff,” and “Q: The Winged Serpent” among others. 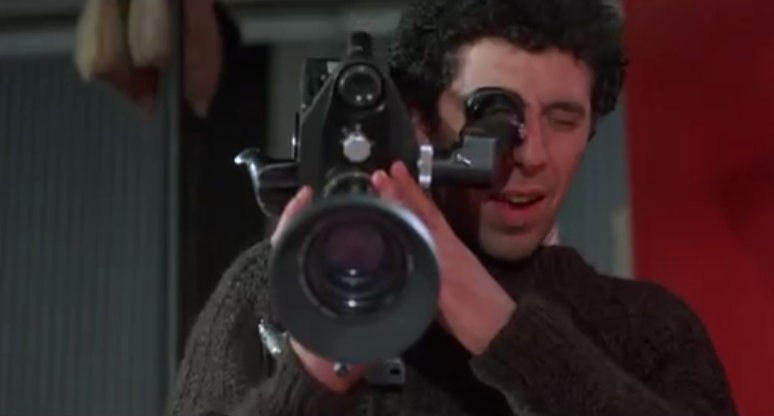 The cast of “Special Effects” includes Eric Bogosian (“Talk Radio,” “Law & Order: Criminal Intent,” “Wonderland”) in his first major role, Brad Rijn (“Perfect Strangers,” “A Return To Salem’s Lot”), and the late Zoe Lund (“Bad Lieutenant”) in two roles. Zoe Lund sadly died very young due to a drug-related heart issue, which isn’t particularly surprising given her advocacy of heroin use. 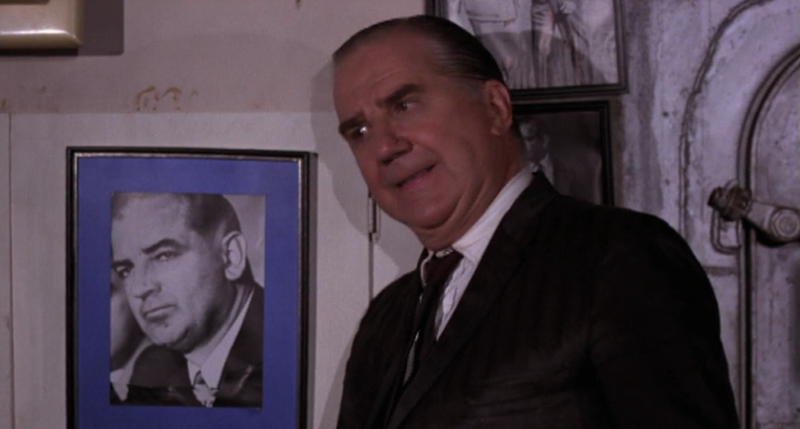 Bogosian is now a recognizable television character actor as well as a regular stage performer, whereas Brad Rijn mostly only appeared in Larry Cohen movies in his brief film career. The story of “Special Effects” centers around the murder of a young actress by a declining director, who appears to get away with the crime. The director, seeing an opportunity and the inspiration to right his sinking career, decides to make a movie about the murder, going so far as to enlist the aide of of the deceased actress’s husband, the lead investigator on the murder case, and a doppelganger of the victim. “Special Effects” is not a particularly well-remembered movie, and there aren’t a whole lot of reviews of it out there. It currently holds a 5.2 rating on IMDb, as well as an average rating of 2.9/5 on Rotten Tomatoes. “Special Effects” is a very slow-paced movie, particularly for a thriller, which I am sure turned a lot of people off. I do wish it moved a little quicker, but the pacing didn’t bother me all too much. It seemed to fit with the atmosphere, which is more like a dark, looming presence than the conventional high-strung tension found in thrillers. The tone is really off-putting and unconventional, but I am tempted to say that it is that way by design. Unfortunately, Elaine is a very wishy-washy character. She proceeds to kinda-sorta fall in love with Keefe (even though she thinks he’s guilty), she kinda-sorta flirts with Neville (even though she thinks he’s a jerk), and she fully commits herself to playing the part (even though she doesn’t want to be an actress). I suppose Cohen felt that giving Elaine such contradictions would make her a more fully formed character in less screen time–after all, her character is introduced nearly halfway through the film. Maybe in the hands of a better actress, these character turns would have made more sense, but Tamerlis (famous in certain circles for her amazing performance in Abel Ferrara’s disturbing revenge flick, Ms. 45) just isn’t very good this time around. While she’s more comfortable as brassy New Yorker Elaine, she completely misses the mark as Mary Jean, playing these early scenes like the world’s funniest Cat on a Hot Tin Roof spoof. This isn’t so much as complaint as an observation, but all of the character in “Special Effects” are just awful people, there isn’t anyone to pull for. 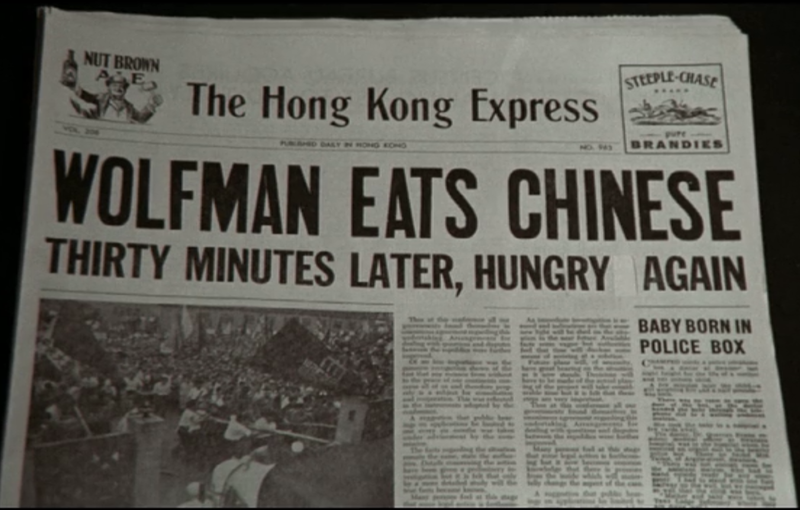 The whole movie is generally cynical, which oddly reminded me of Larry Cohen’s comedy “Full Moon High.” Despite the two movies being polar opposites of each other tonally, they both share a certain cynicism about the world that occasionally rises to the surface in Cohen screenplays. I have a lot of mixed feelings about the score for “Special Effects.” The synthesizer-heavy background feels like it is aiming for a John Carpenter style, but comes off feeling like an obvious knock-off. Michael Minard doesn’t have a whole lot of film music credits, and there might be a reason for that. At the same time, the style fits the movie in a lot of ways, but it certainly could have been pulled off better. “Special Effects” undoubtedly has a really cool and interesting concept behind it, and has flashes of being Hitchcock-esque. That said, they are definitely just flashes. Overall, I can definitely see why it didn’t resonate with a lot of people, and why it is one of the many obscure entries in Larry Cohen’s filmography. Still, there are some very redeeming elements that make it worth checking out, not the least of which is Bogosian’s performance. If you are a Larry Cohen fan, look into digging this one up. Otherwise, “Special Effects” probably won’t have much draw for general audiences. 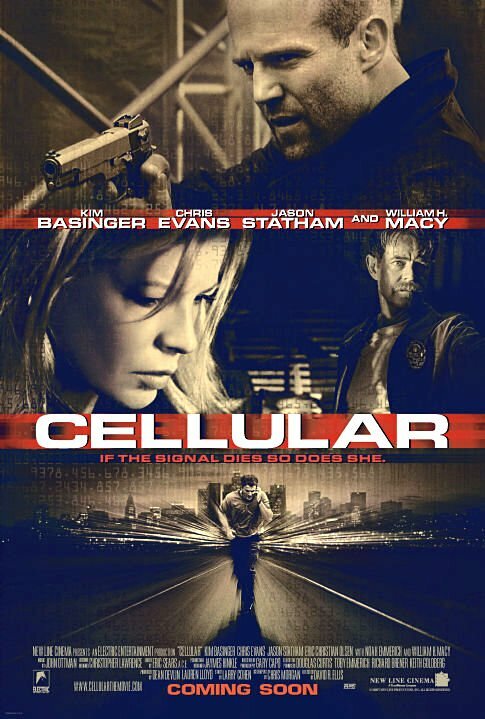 The next feature up in my spotlight on the career of Larry Cohen is 2004’s “Cellular,” starring Chris Evans and Jason Statham. The story writing credit for “Cellular” went to Larry Cohen, while the screenplay credit went to Chris Morgan, who has gone on to write the vast majority of the sequels to “The Fast and The Furious.” Eric Bress (“The Butterfly Effect”) and J. Mackye Gruber (“Final Destination 2”) reportedly did uncredited rewrites of the script as well. One of the key producers on “Cellular” was Dean Devlin (“Stargate,” “Independence Day”), who supposedly initially wanted to direct the movie, but instead decided to take a back seat creatively. He does appear in a small role in the film as a cab driver, however. The music for “Cellular” was provided by John Ottman, who has provided scores for films like “Lake Placid,” “The Usual Suspects,” and “Kiss Kiss Bang Bang”. 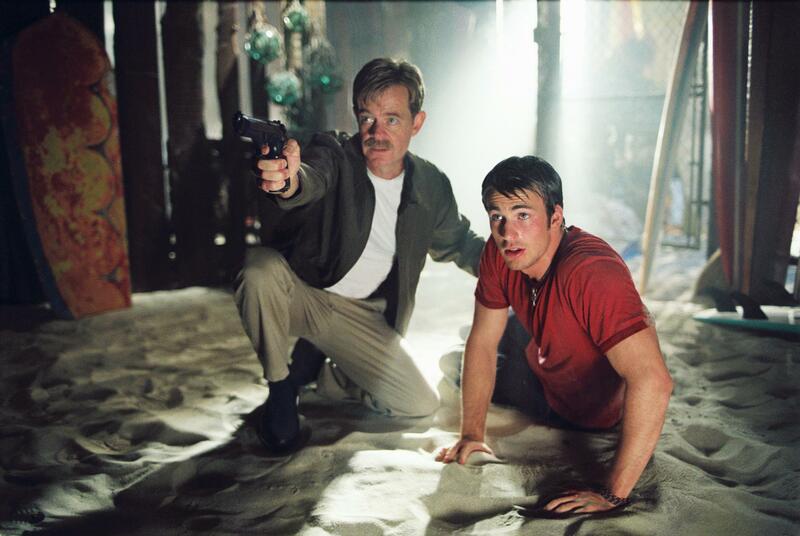 The cast for “Cellular” is led by Chris Evans in his days before becoming an Avenger and a household name. Kim Basinger (“L.A. Confidential”), Jason Statham (“Revolver,” “The Transporter”), and William H. Macy (“Fargo,” “Edmond”) also have significant roles in the film, and the accessory cast features recognizable faces such as Noah Emmerich (“The Truman Show”) and Jessica Biel (“Hitchcock,” “The A-Team”). The plot of “Cellular” follows a young man who receives a mysterious call on his cell phone from a kidnapped woman who needs his help to save the lives of her and her family. Chris Evans reportedly did his own car stunts for “Cellular,” training for weeks as a stunt driver to become proficient enough to handle the workload safely. Larry Cohen worked on the concept for “Cellular” concurrently with “Phone Booth,” and sees them as fundamentally opposite concepts. 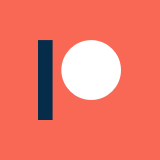 Both lead characters are stuck on a phone throughout the story, but one is trapped in one place whereas the other can go anywhere. Understandably, the similarities have led the films to be compared to each other extensively. The dirty cops plot in “Cellular” was reportedly inspired by the LAPD Rampart scandal, and certainly bears a lot of similarities to the real life corruption in that case (police executions, drug dealing). Apparently, Seann William Scott was considered for the small comic relief role of Chad, which ultimately went to Eric Christian Olsen. “Cellular” was not received particularly well at the time, and currently has a score of 6.5 on IMDb along with Rotten Tomatoes ratings of 55% (critics) and 59% (audience). In spite of the negative reception, “Cellular” managed to gross nearly $57 million in its worldwide theatrical run on a budget of $25 million, making it a financial success. One of the first things I noticed about “Cellular” is that there is lots of product placement throughout the movie, particularly from Nokia. However, plenty of other brands are prominent throughout the film, to the point that it is a little bit distracting. Judging from some of the reviews I have seen, this left a bitter taste in a lot of people’s mouths, and I can’t really blame them for that. The central cast of Jason Statham, Chris Evans, and William H. Macy is really solid in this movie, and they all play their roles quite well. Kim Basinger wasn’t nearly as impressive in my opinion, but most of her performance was literally phoned in (ha). In all seriousness, her role kept her in one gear throughout the whole film, so she didn’t really get to show off any acting talent in the movie. “Cellular,” by nature of being a tech-based story, feels really out of date now. I feel like “Phone Booth” got around that problem in the way it acknowledged the way technology was changing, which isn’t something that is done in “Cellular.” It is almost comical now to think that it wouldn’t occur to a police officer that phones can take video, which is integral to a major plot twist in the story. All of that said, the story of “Cellular” hasn’t aged nearly as bad as any of the 1990s cyber-thrillers. One of the biggest criticisms I have seen of “Cellular” is that the story repeatedly goes beyond what is believable, but honestly, who cares? I don’t understand what was expected of this action movie for people to be so harsh on it for being unrealistic. The plot of “Cellular” sounds like a gimmick, and no wonder: It is a gimmick. What’s surprising is how convincing it is, under the circumstances, and how willingly we accept the premise and get involved in it. The movie is skillfully plotted, halfway plausible and well acted; the craftsmanship is in the details, including the astonishing number of different ways in which a cell phone can be made to function — both as a telephone, and as a plot device. This is one of the year’s best thrillers. Better than “Phone Booth,” for my money, and I liked that, too. Personally, I don’t think “Cellular” holds a candle to “Phone Booth,” but it is serviceable and interesting as a concept and for simple entertainment. Some seem to think that it slows down too much, but I think it maintains a steady pace throughout that will keep most from getting distracted. It is a little better than middle-of-the-road as an action movie, which I think is good enough for most people. If you really like Statham or Evans, this is one worth checking out. If you were a big fan of “Phone Booth,” I’d say it is a must-see. I did give them a script and they, more or less, ignored what I gave them completely. I did make a lot of money on the deal, so I really can’t complain. I certainly didn’t want to give them their money back, so I’ll just have to live with it. I would advise anybody who likes my film to cross the street and avoid seeing the new enchilada. “It’s Alive” was directed by Josef Rusnak, who also worked on such features as “The Thirteenth Floor” and “Godzilla” (1998), the latter as an assistant director. The effects team for “It’s Alive” included makeup artist Timothy Huizing (“Smokin’ Aces,” “Scary Movie 2,” “Jack & Jill”), as well as such visual effects workers as Simeon Asenov (“Shark Attack 3: Megalodon,” “Drive Angry,” “The Legend of Hercules”), Velichko Ivanov (“Kingsman: The Secret Service,” “Guardians of the Galaxy”), and Silviya Mariyanova (“Olympus Has Fallen,” “The Expendables 3”). 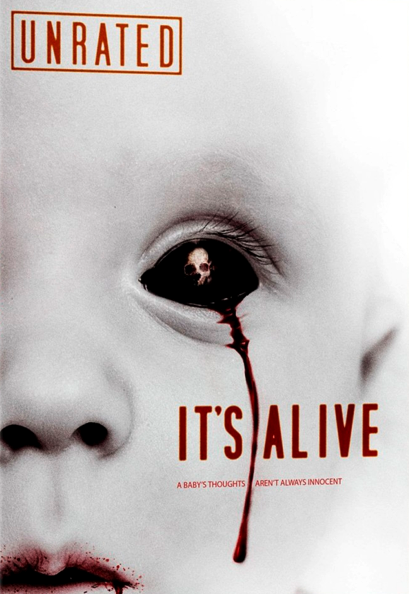 The producers for “It’s Alive” included Mark Damon (“Mac and Me,” “Monster,” “Orgazmo”), Moshe Diamant (“Timecop,” “Simon Sez,” “Double Team,” “Dark Angel”), Boaz Davidson (“The Wicker Man,” “Mansquito,” “The Iceman”), Danny Dimbort (“The Wolf of Wall Street,” “Rambo,” “Bad Lieutenant: Port of Call New Orleans”), and Robert Katz (“Stuck,” “The Ambulance”), among others. 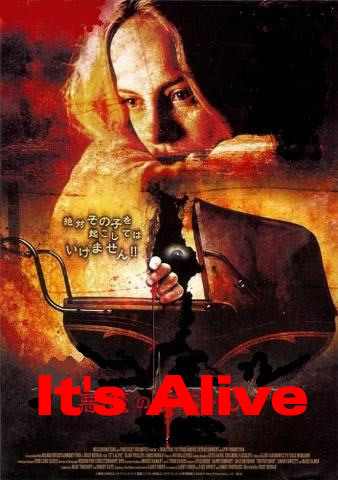 The cast for “It’s Alive” includes Bijou Phillips (“Almost Famous,” “Choke”), James Murray (“Primeval”), Owen Teale (“Game of Thrones”), and Todd Jensen (“The Mangler”). The collection could generously be called “low-rent,” and honestly be called “weak,” something that is immensely clear from the peripheral performances. The story of “It’s Alive” centers around two young parents and their newborn child. At the child’s birth, the doctors and nurses are mysteriously murdered during the delivery, with no suspects or apparent motive. As the child becomes rapidly stranger and more violent, the parents are forced to confront the possibility that their baby is a serial killer. “It’s Alive” was released straight to video by First Look Pictures, but was apparently given a very limited theatrical run specifically in the Philippines. In any case, I would be shocked if it made any money on its estimated $10 million budget. There frankly isn’t a whole lot positive to say about “It’s Alive.” It features some inexplicably dreadful character and plot writing, which I assume is due to the inexperience of the two primary writers. 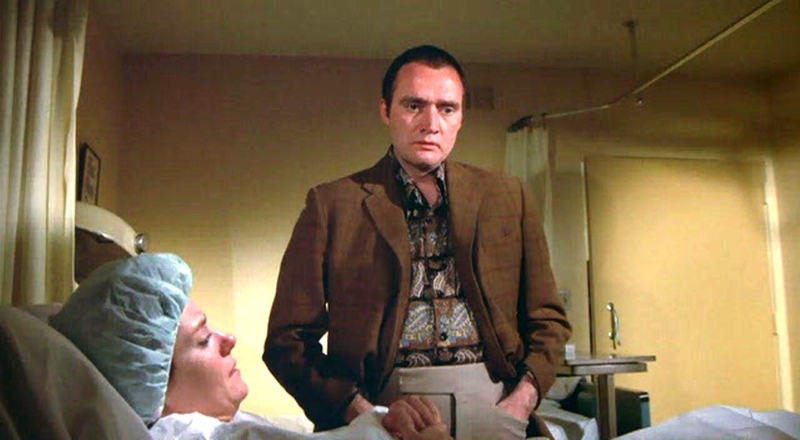 There are also some awful performances as you get deeper into the accessory cast, such as the E.R. doctor who is slaughtered at the beginning of the film. I will say that Bijou Philips is not terrible, but her character’s writing just doesn’t make any sense. She never seems as disturbed as she should be by the events that happen throughout the film, and takes way too long to descend into panic over the baby’s violent outbursts. The effects overall are pretty cheesy (the baby is both ridiculous and wildly inconsistent), but the film doesn’t particularly look awful from a production standpoint, which is about all I can say for it. Overall, “It’s Alive” is just way off the mark from what it should have been. It lacks charm and thought, two qualities that distinguish Cohen’s films from most of the rest of the b-horror pack. I’m not sure what happened over the course of the production, but Cohen’s creative lock out seems like it doomed the effort out of the gate. There are a few decent deaths in the film, but the overall experience just isn’t fun or memorable enough to recommend. Today, I’m going to be kicking off my coverage of the career of writer/director Larry Cohen with 1981’s “Full Moon High”: a horror parody movie which he wrote, directed, and produced. The art director for “Full Moon High” was Robert Burns, who also worked on such iconic horror movies as “Re-Animator,” “The Howling,” “Texas Chain Saw Massacre,” and “The Hills Have Eyes” over his career. The cast for “Full Moon High” is led by Adam Arkin in his first major film role, who is best known as the son of acclaimed actor Alan Arkin. 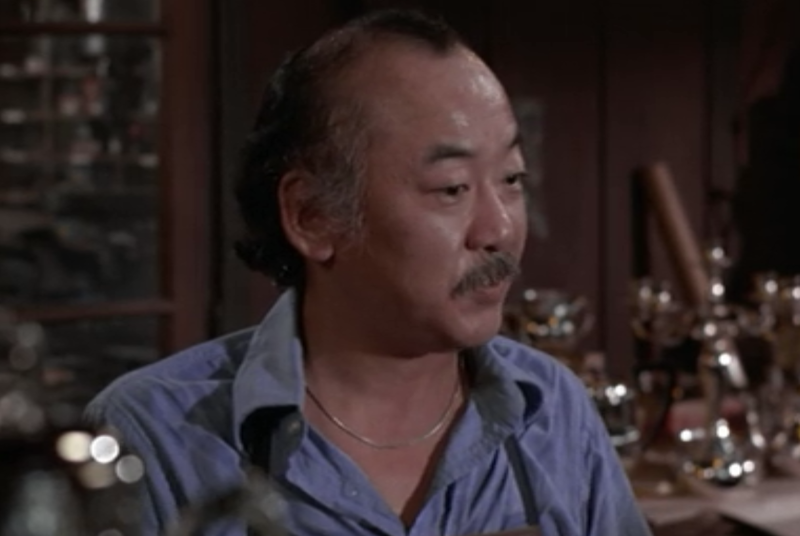 It features a lot of familiar faces in the accessory cast, including Ed McMahon (“The Tonight Show”), Kenneth Mars (“The Producers”), Pat Morita (“The Karate Kid”), Bob Saget (“Full House”), Demond Wilson (“Sanford and Son”), Roz Kelly (“New Year’s Evil”), and even Alan Arkin (“Little Miss Sunshine,” “Argo,” “Catch-22”). The story of “Full Moon High” follows a high school football star who, while on a vacation to Romania, becomes an immortal werewolf. After he discovers how little control he has over his abilities, he leaves his hometown to wander the Earth. 20 years later, he decides to return home under the guise of being his own son in order to win the big high school football game that he never got to play. The reception for “Full Moon High” was generally negative: it currently holds a 39% audience score on Rotten Tomatoes, along with a 4.8 rating on IMDb. 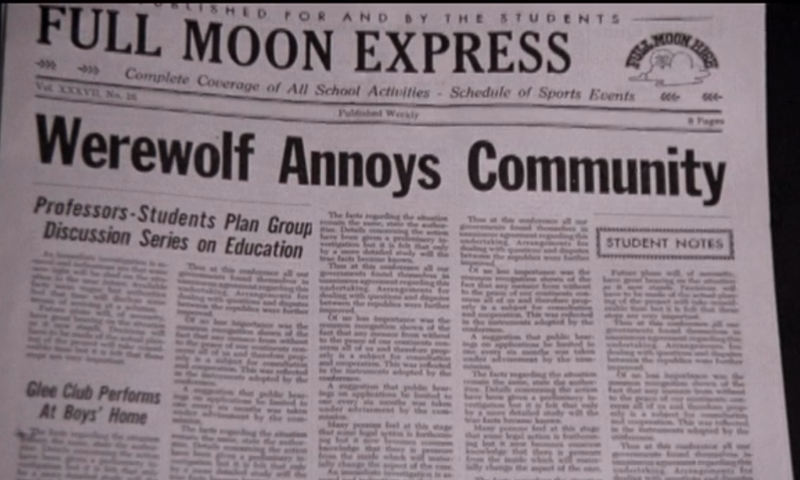 The premise for “Full Moon High” is primarily a parody of “I Was A Teenage Werewolf,” a notorious 1950s horror movie. Most viewers now would probably assume some connection to the movie “Teen Wolf” with Michael J. Fox, but “Full Moon High” actually predated it by a number of years. There are definitely some brilliant moments here and there throughout “Full Moon High,” but it is really uneven in its quality. As many reviewers have pointed out, the film starts really strong, and then slows down and loses its comedic edge after the first half hour. It feels like a clever movie that didn’t get to percolate long enough to be really outstanding, like it may have been rushed through production too quickly. That said, there are a number of golden and clever moments interspersed throughout the film. For instance, the use of spinning newspaper transitions, which is one of the most overdone elements in old movies, is poked at brilliantly. There are also other horror and teen movie tropes that get put over the fire, like the overuse of dramatic violin music as a cue. Personally, I think that one of the biggest issues with the movie is that Adam Arkin isn’t quite strong enough to carry the film from a comedic point of view. It certainly doesn’t help that his character is pretty inconsistently written: sometimes he is a bit of a moron, and other times he seems pretty sharp. The style of humor in “Full Moon High” is also a bit perplexing. It is generally dark and sexually charged, and fairly biting with satiric elements. At the same time, it is also very traditionally goofy, which makes for a weird combination. It also doesn’t help that it has a few awkward moments of jokes that don’t land, which might be due to Cohen not having comedy writing experience previously, and still deciding to write it on his own. Overall, “Full Moon High” certainly isn’t is good as it could be, but it is undoubtedly more daring and clever that “Teen Wolf.” For big fans of Larry Cohen’s work, it is worth checking out, but it isn’t quite solid enough to recommend to general audiences.